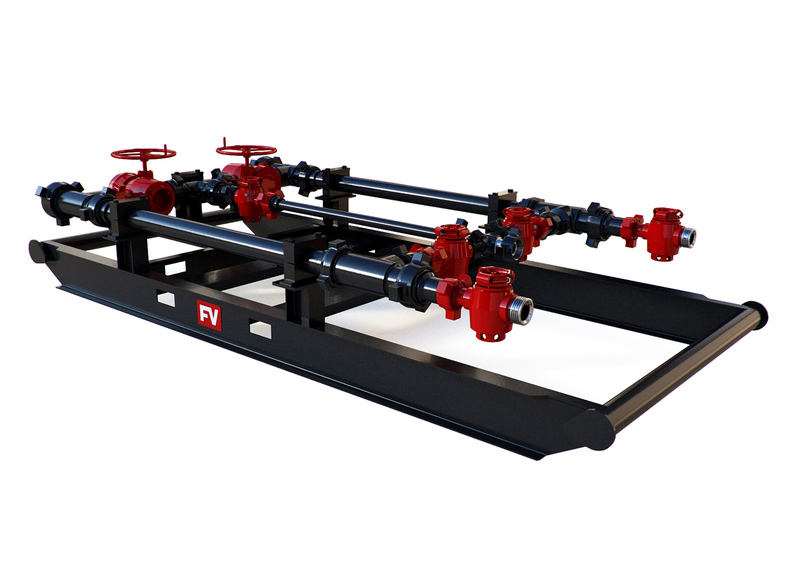 Our standard plugcatcher design flows in at 3” Fig 1502 and flows out at 2” Fig 1502 or 3” fig 1502 to handle normal flowback operations. Customizable design options are available upon request. No welds on ANY high pressure iron. 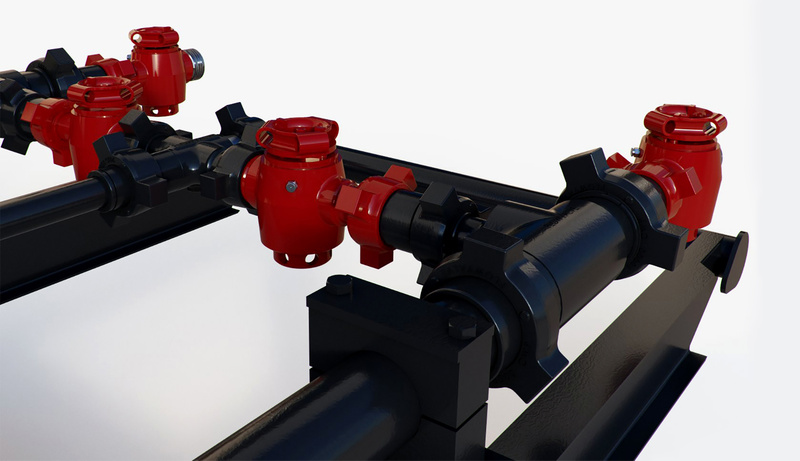 With custom pipe clamps and an innovative thread design for the crossover and screen; our plugcatchers have zero welding on all of the high pressure iron. This safety feature prevents micro cracking that is often found in welding heat treated metals. Skid mounted for easy maneuverability. 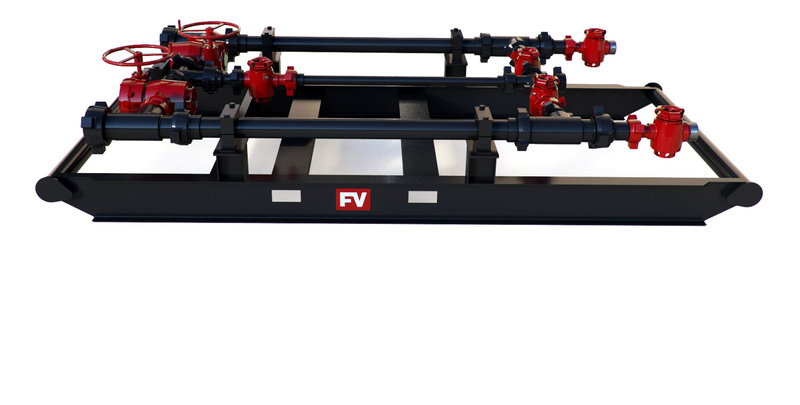 Made for fast rig ups and ease of operation, our plugcatchers are mounted on a skid with heavy-duty pipe clamps. 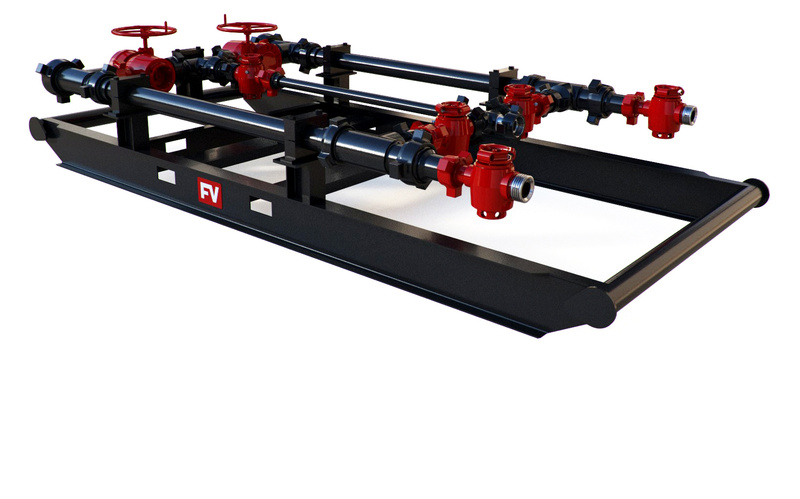 With forklift slots designed into the skid, the plugcatcher manifold is easy to load on and off trailers for easy transportation. 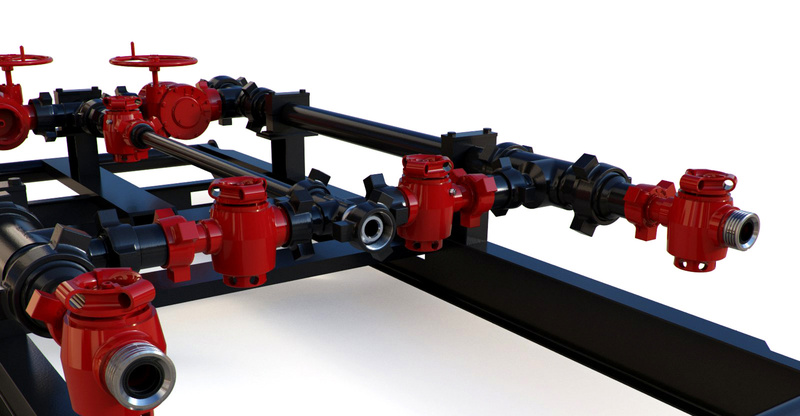 Producing a high performing plugcatcher is easier when you have complete control. 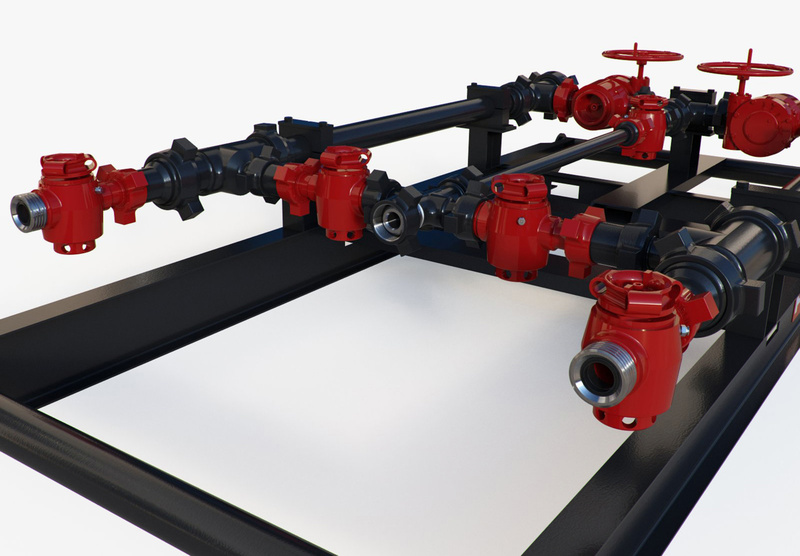 Every plugcatcher component has the FlowValve signature, from plug valves, tees, crosses, pup joints and crossovers right down to the skid. When we sign off on something, we always stand behind it.